This post was contributed by Dr John Sellars of Birkbeck’s Department of Philosophy. Last year I joined a group of academics and psychotherapists who met at the University of Exeter to think about ways in which ancient Stoic philosophy might help people today (short film here). If that sounds like a slightly odd project, it may seem less so in the light of the fact that the founding figures behind modern Cognitive Behavioural Therapy (CBT) openly cited Stoicism as a source of inspiration. Via CBT, Stoicism has been secretly helping millions of people cope with the stresses and strains of modern life. Our aim, though, was to turn to the ancient Stoics themselves and in particular to the writings of three famous Roman Stoics: Seneca, Epictetus, and Marcus Aurelius. The works of these three philosophers are full of practical advice and guidance designed to help people work towards the ultimate goal of well-being or happiness. The Stoics claim that this depends upon us developing an excellent, virtuous, rational state of mind. External things like money, status, career, fame, and the like are all very well but none of them can guarantee a happy life. In fact the excessive pursuit of these things might actually get in the way of reaching that goal. Many of our negative emotions result from attaching value to these things and the Stoics suggest we can overcome these by thinking again about what we value and why. The Stoics offer a variety of reflective and meditative techniques aimed at embedding Stoic values into our routines. But will these actually help us to lead better and happier lives? We decided to try to find out. Last year we set up a ‘live like a Stoic for a week’ experiment with a small group of students in Exeter. Via the power of social media other people followed the project too. This year we are rolling out the experiment properly: Stoic Week will take place 25 November to 1 December 2013. Visit the project’s website for further details and to download the handbook, which will be available shortly before the week starts. To coincide with this we are also putting on a public event at Birkbeck on 30 November 2013 called Stoicism for Everyday Life. This will include talks about the project, a roundtable discussion between academics and authors on issues raised by the project, followed by a series of smaller interactive group sessions exploring a range of topics connected with the project. 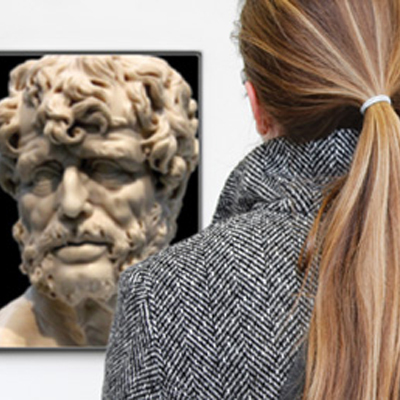 Come along and see how Stoicism could change your life! Category: Social Sciences History and Philosophy Tags: happiness, philosophy, Politics society and law, stoicism, well-being by Bryony. No but the main sessions will be recorded and hopefully made available afterwards. A short film will also be made. Originally trained in Rational Emotive Behaviour Therapy, influenced by the philosophy of Epictetus, I find this Stoic project very relevant to modern day psychotherapy. Practical helping strategies for austere times.